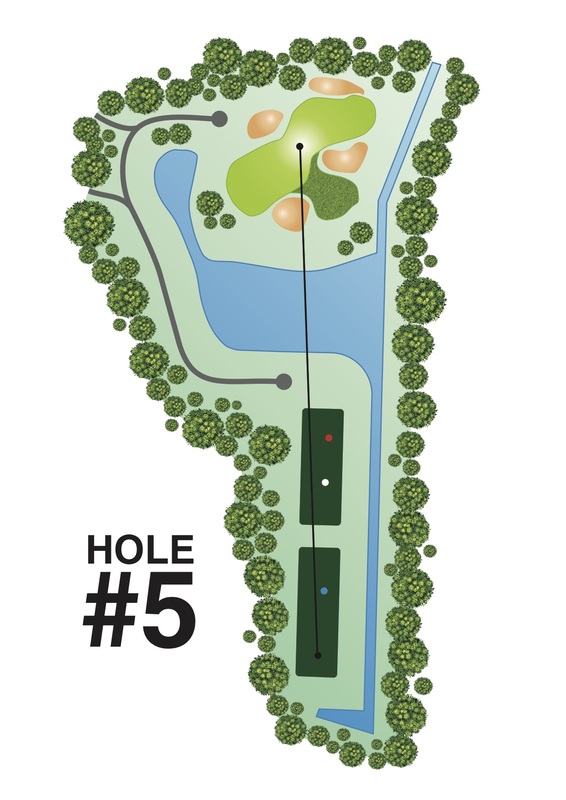 This may be the shortest Par 3 but it’s also the most treacherous. The green is almost surrounded by water and is tightly guarded by three GLF bunkers to the front and one sand bunker hidden behind. A steep saddle in the middle separates the two-tier green.